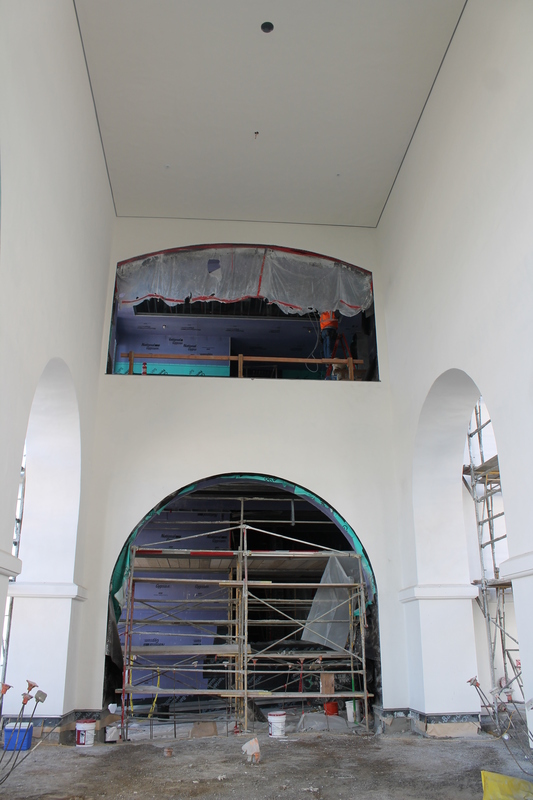 A view of an archway on the first floor near Aztec Lanes. 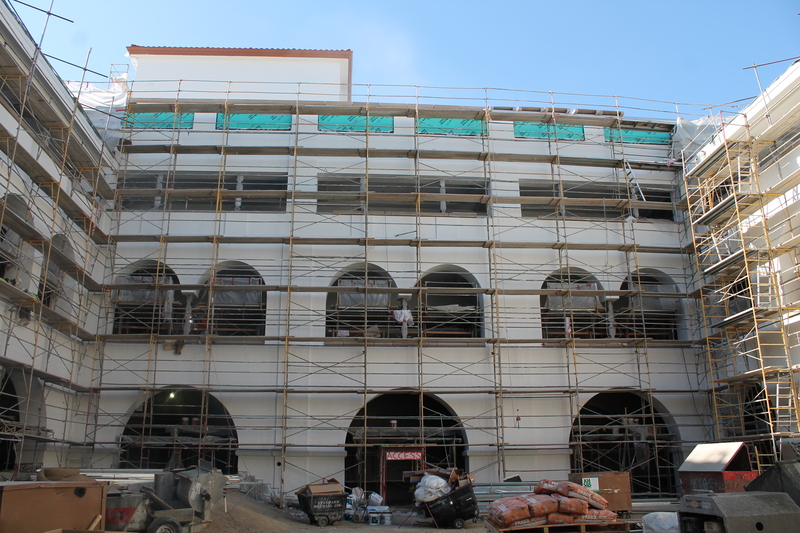 Scaffolding is still up in the coliseum, AKA Goldberg Courtyard. 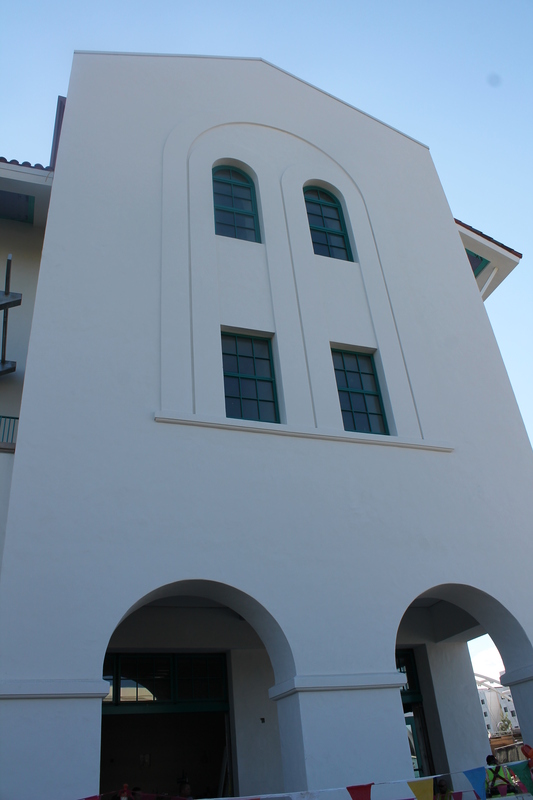 There are several arches on the building’s westerly facade. 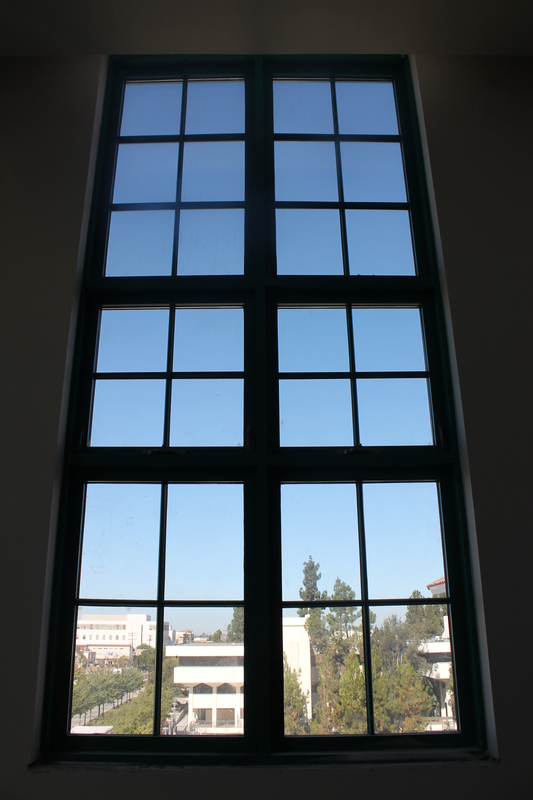 One of the large windows in the ARC Express provides a view of Adams Humanities.